A great project idea for classes, camps and youth groups! Students can design on any polyester or cotton fabric. Saturate the cloth with ink, then allow it to dry. 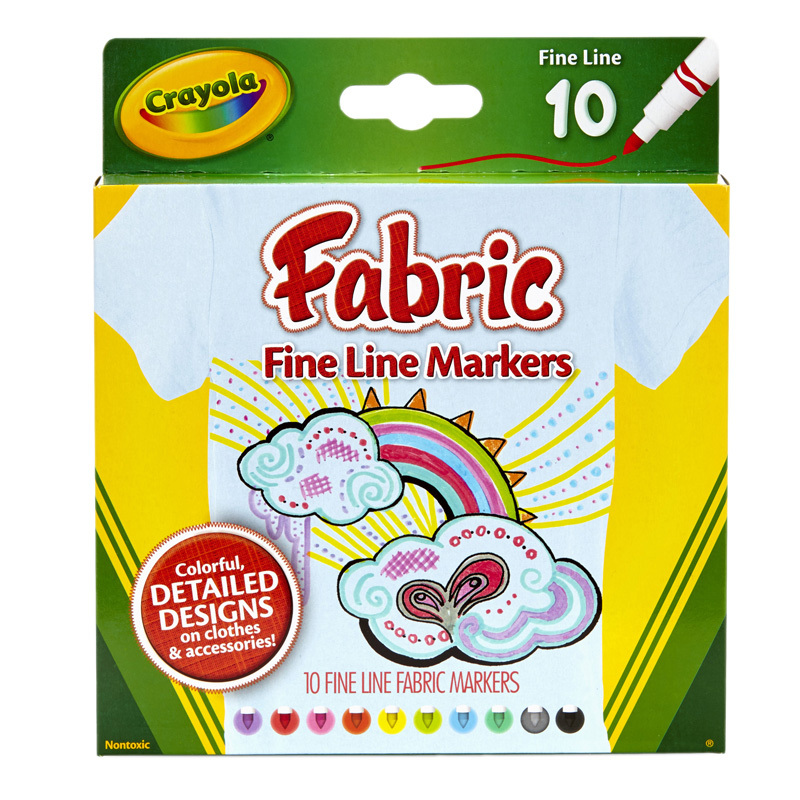 Colored artwork is permanent and completely washable after heat-setting. 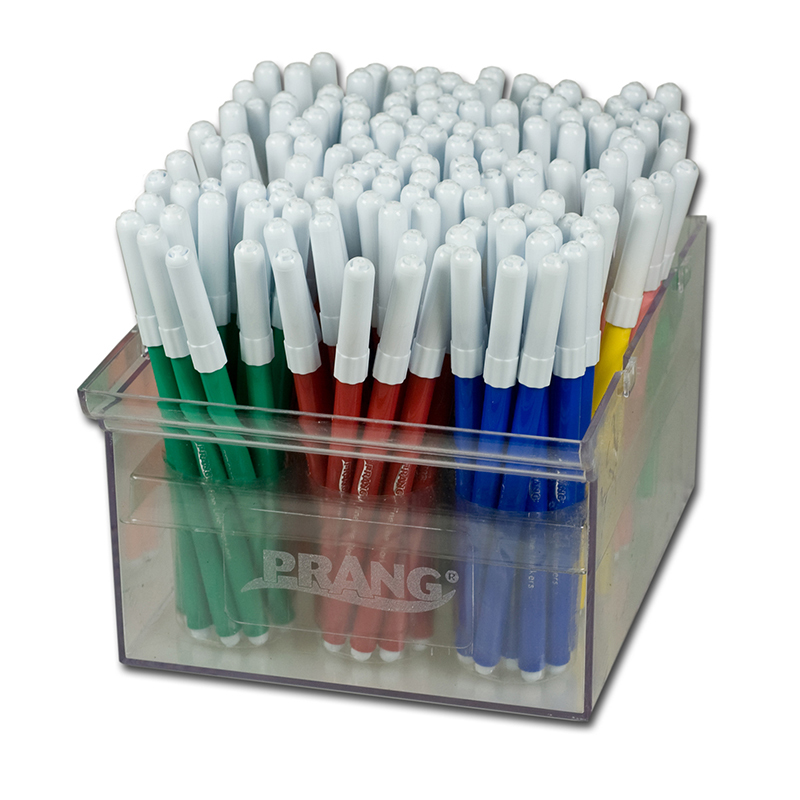 Try these markers on T-shirts, tote bags, cloth napkins and placemats, hats and much more. AP Seal, non-toxic. 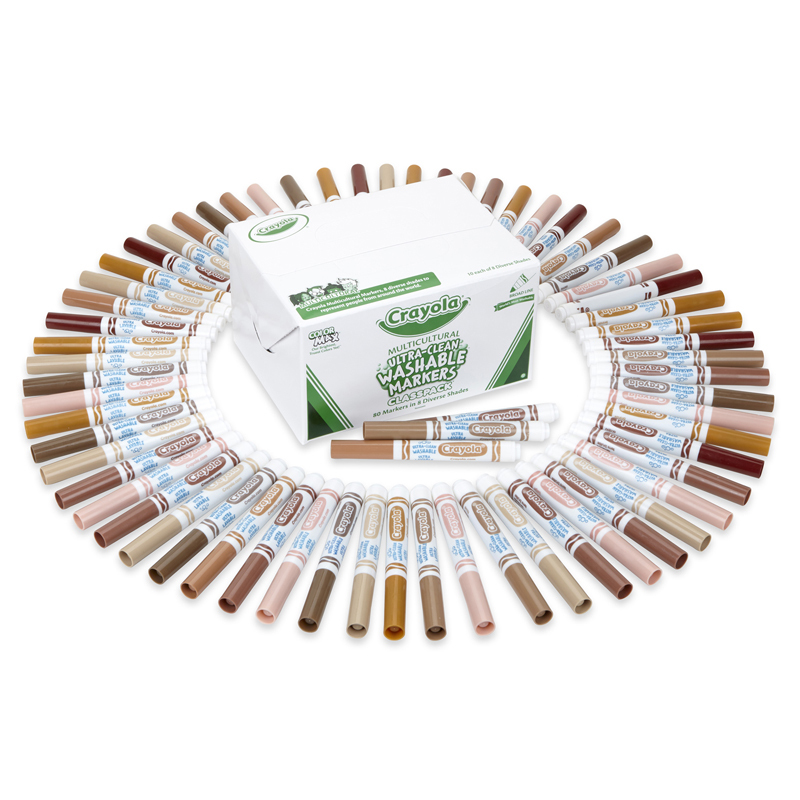 Each classpack includes 8 each of 10 colors, for a total of 80 markers. 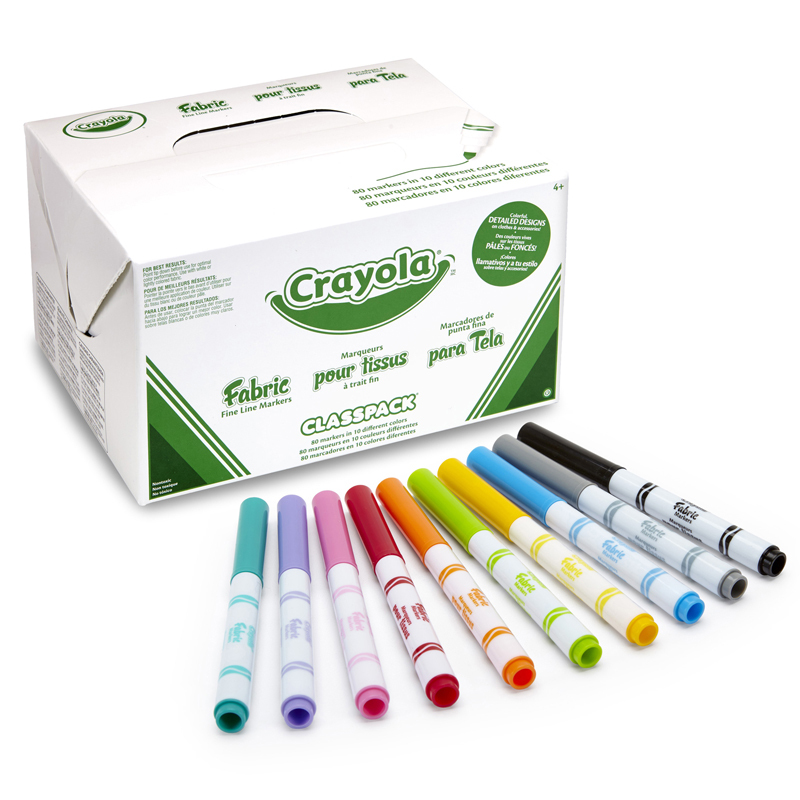 The Crayola Fabric Marker 80ct 10 Colorclasspack can be found in our Markers product category within the Arts & Crafts. 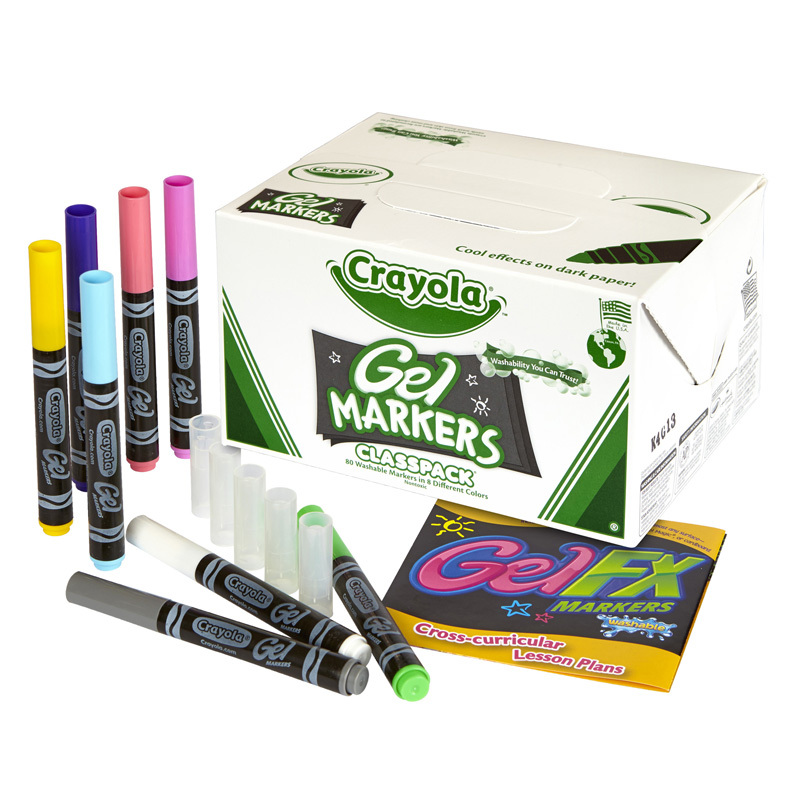 Watch as marker colors glaze over and crystalize before your eyes! 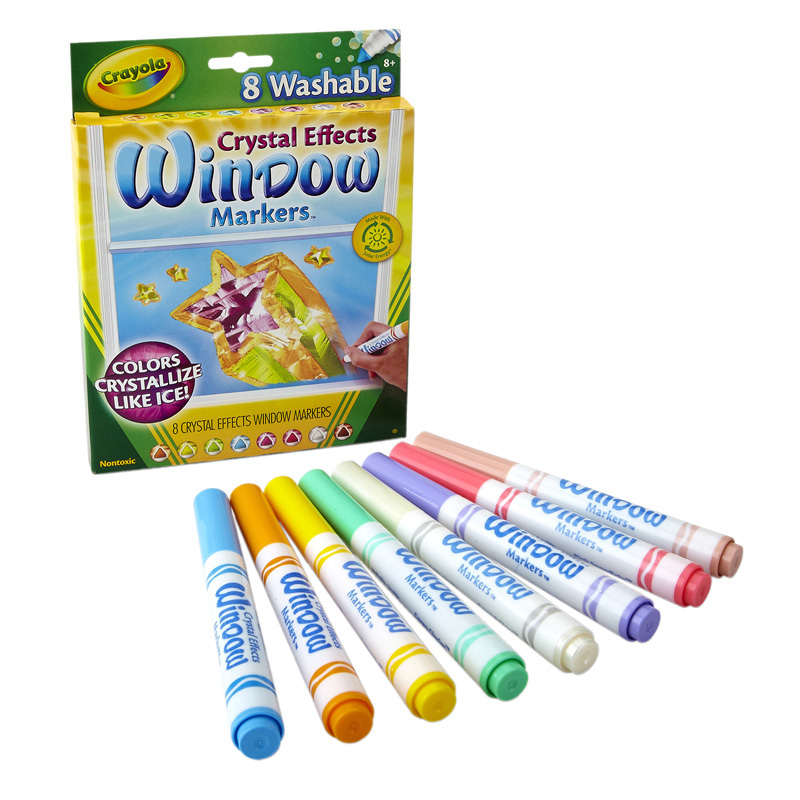 Turn an ordinary window or mirror into colorful crystal canvas!